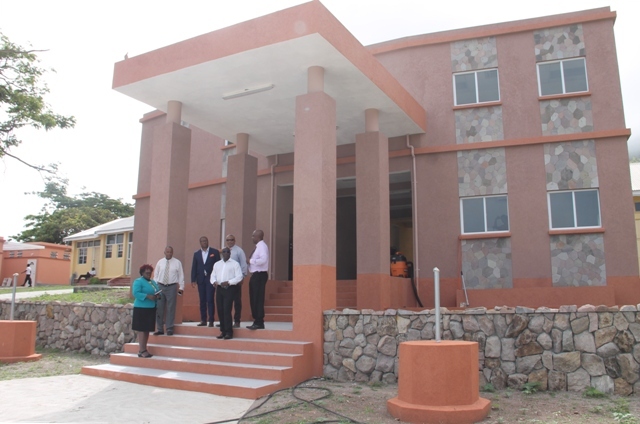 NIA CHARLESTOWN NEVIS (June 12, 2018) — The new office complex and student washroom facility at the Gingerland Secondary School (GSS) are completed. Hon. 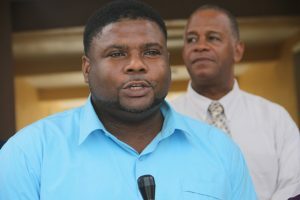 Troy Liburd, Junior Minister with responsibility for Education made the announcement at the end of a tour by the Nevis Island Administration (NIA) Cabinet on June 06, 2018. Mr. Liburd said the project took some time to complete, however, the Administration is satisfied with the outcome. “We are very pleased with the level of workmanship. We are very pleased with the building that we see here today and we believe, that it will go a long way to making work easier for the principal and the staff of the Gingerland Secondary School. “It took quite a few months to get this building completed but we are at the finish and we are very happy,” he said. He also took the opportunity to explain more about the project and what it will be used for. The construction was done under the supervision of the Ministry of Communication and Works and the Project Management was done by the Public Works Department headed by Raoul Pemberton, Director. Construction commenced in July, 2017. Mr. Myron Western Jeffers was the contractor of the office complex. Stella Electrical Engineering and PECO Electrical Services were the electrical engineers. The building will house the offices for the principal and the deputy principal. It includes offices for the secretary and areas for printing. “It’s a very large building. I think it has doubled the space of the office building that was here before. So it is us bringing the school into the modern era,” he said. 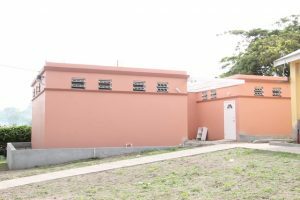 Mr. Franklyn Browne was the contractor for the student’s washroom facility which also commenced in July 2017 and Mr. Euclid Lawrence was the electrical contractor. The washroom facility was designed to serve both male and female students in separate units. It replaces the old washrooms which were demolished. 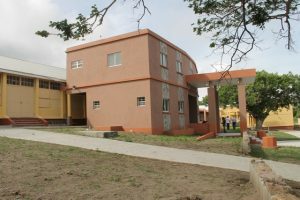 Meantime, Mr. Liburd believes that the work done on the physical plant of the school will enhance the level of education provided to the students there.